Hello again people! Hope everyone’s Christmas was super fabulous! My Christmas was quiet, but full of good food and good friends online. I made roast chicken, stuffing, mashed taters, gravy, fresh green beans and brussels sprouts with bacon. For desert was Ambrosia, yeah we ate good. In between time I was online and over at C4C and we had a blast! Lots of good music and good chat. C4C was a total success once again this year! There were lots of friends and lots of good cheer to be had, we had almost 1600 comments made (last year I think was something like 360). I’m sure we’ll be doing it again next year! I know I’ll be there if they’ll have me. Once again I want to toot my own horn a bit and mention that my short story “Grandpa and the TV” is published over at Canada Writes website, Facebook and twitter. It’s a true story about my grandfather and what he thought of his first TV. Boxing Day ~~ (Via Wikipedia) This holiday is traditionally the day following Christmas Day, when servants and tradesmen would receive gifts, known as a “Christmas box”, from their bosses or employers. 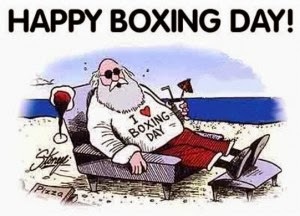 Today, Boxing Day is the bank holiday that generally takes place on 26 December. It is observed in the United Kingdom, Canada, Hong Kong, Australia, New Zealand, South Africa, Trinidad and Tobago and some other Commonwealth nations. In South Africa, Boxing Day was renamed Day of Goodwill in 1994. In Ireland and Italy, the day is known as St. Stephen’s Day (Irish: Lá Fhéile Stiofáin) or the Day of the Wren (Irish: Lá an Dreoilín). In many European countries, including Germany, Poland, the Netherlands and those in Scandinavia, 26 December is celebrated as the Second Christmas Day. In Britain, Canada, and some states of Australia, Boxing Day is primarily known as a shopping holiday, much like Black Friday (the day after Thanksgiving) in the US. It is a time where shops have sales, often with dramatic price reductions. For many merchants, Boxing Day has become the day of the year with the greatest amount of returns. And that my friends is why I stay safely at home and laze around today. I hate shopping, but today is extra crazy out there. Kwanzaa ~~ Kwanzaa is a weeklong celebration held in the United States and also celebrated in the Western African Diaspora in other nations of the Americas. The celebration honors African heritage in African-American culture, and is observed from December 26 to January 1, culminating in a feast and gift-giving. Kwanzaa has seven core principles (Nguzo Saba). It was created by Maulana Karenga, and was first celebrated in 1966–67. Ujima (Collective Work and Responsibility): To build and maintain our community together and make our brothers’ and sisters’ problems our problems, and to solve them together. National Candy Cane Day ~~ Now you know candy canes had to be celebrated at some point this month. So here it is! This day celebrates the sweet sugary treat that has become a traditional holiday candy. Candy Canes started as just all white sticks and it wasn’t until the turn of the century that the red stripe and the peppermint flavor was added. Many decorate their Christmas Trees with Candy Canes. A recipe for straight peppermint candy sticks, white with colored stripes, was published in 1844. The candy cane has been mentioned in literature since 1866, was first mentioned in association with Christmas in 1874, And as early as 1882 was hung on Christmas trees. Chicago confectioners the Bunte Brothers filed the earliest patents for candy cane making machines in the early 1920s. There are several stories about how the candy cane came about, most of them with a religious bent. Some (like Snopes.com) have some convincing arguments against these stories. As for me, I’m just glad they are around to decorate trees with and to eat. Whichever way they came about, enjoy a candy cane today! National Whiners Day ~~ When I found this holiday I laughed out loud. So fitting don’t you think, to have Whiners day on the day after Christmas? Today is the day you can whine about the bad gifts you received, or the gifts you wanted but didn’t get! National Whiners Day was founded in 1986 and is dedicated to those who like to whine. Especially, those who are returning or exchanging Christmas gifts. 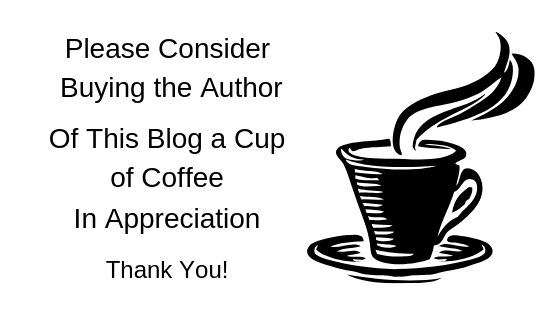 Actually, this day is to encourage everyone to appreciate what they have. Rev. Kevin Zabor­ney, in 1986, des­ig­nated Decem­ber 26 as National Whiner’s Day. Rev. Zabor­ney founded the hol­i­day in hopes of encour­ag­ing peo­ple to be thank­ful for what they have, rather than unhappy about what they don’t have. 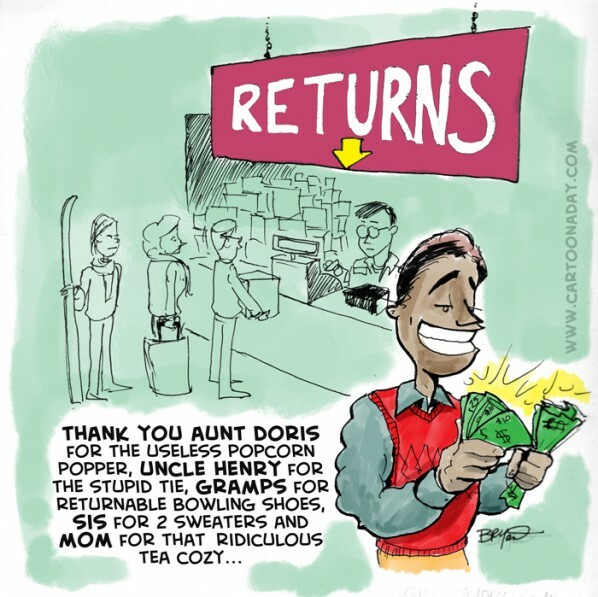 *Visit a shop­ping mall or retail store and watch peo­ple “whine” as they return and exchange their hol­i­day gifts (remem­ber, it’s not only the cus­tomers who whine). *Invite friends over, or plan a party, and call it a “Whine and Geeze” party! Serve non-alcoholic wine and cheese! *Again, invite friends to a National Whiner’s Day party. In order to get in, your friends need to bring one unwanted gift, wrapped, for a white ele­phant exchange. Either way you celebrate the day, have fun! Well that’s it for today people, but there are still some days left in December, so I will be back tomorrow with more celebrations!